ConvertKit is one of the most popular email marketing solutions out there for professional bloggers using which you can create, send and optimize your email marketing campaigns. Now you have ConvertKit module for WPUF using which you can easily add more subscribers to your mail lists. 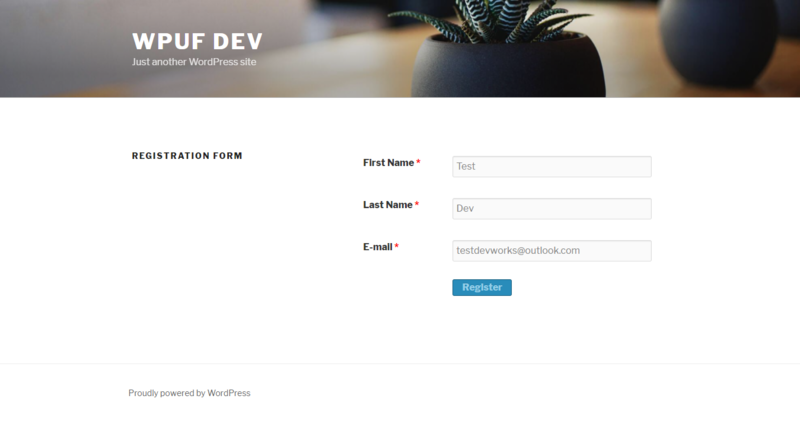 Integrate your WPUF form entries with ConvertKit lists, grow more leads & contacts, and get more opportunities for sales and marketing. This module is available in WPUF Business Plan. The following doc shows how to install and use the WPUF-ConvertKit integration. To find this feature, simply navigate to wp-admin→User Frontend→Modules. From Modules, turn on the toggle button for ConvertKit. A separate menu will appear on the sidebar for ConvertKit when you activate the module. Click on the page and go to your ConvertKit Account. 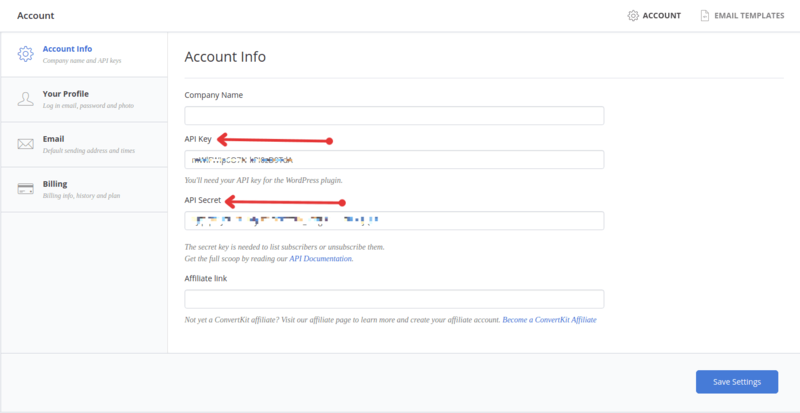 Obtain the API key from Account Settings. Copy the API Key and Secret Key. Paste it on your WPUF dashboard in the field provided. Enable Double Optin if you want to. Then click on Connect. After connecting, go to Registration Forms. Select the form of your choice that you would like to integrate. And click on the Settings tab. Go to the ConvertKit Page under Settings tab of the form. Now enable the checkbox Enable ConvertKit. You will see a drop-down asking you to select your preferred list for subscriptions. Choose your ConvertKit mail list from here. The user will be automatically added to your selected ConvertKit list for that form, as shown below.